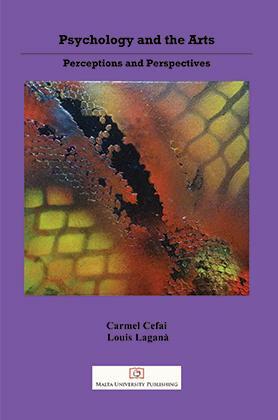 Malta University Publishing has just published Psychology and the Arts: Perceptions and Perspectives, edited by Carmel Cefai and Louis Lagana. The book features contributions by more than 20 authors from Europe and the US in areas ranging from Greek tragedy to contemporary films. Psychology and the Arts seeks to widen and develop the concepts employed by scholars and researchers coming from various fields in the areas of literature, art, film and psychoanalytic theories. It provides new and creative explorations of various literary and artistic works from psychoanalytic and post-psychoanalytic perspectives, discussing issues ranging from dreams, desire and creativity to works of literature such as Shakespeare and Hardy, to spaces, archetypes and symbols such as the Mother Goddess, and to the visual arts such as street art, photography, films and painting. The book is on sale from the Malta University Publishing and other leading bookshops.